North Saanich Marina is conveniently located in Sidney, British Columbia on Vancouver Island and has ample free parking available in several large parking lots right beside the docks. We’re just 20 minutes from downtown Victoria, BC, and minutes away from Victoria International Airport, the BC Ferries and the Washington State Ferry from Anacortes. From highway 17 take exit 31 to McDonald Park Road. Turn left at Marina Way and follow it to the marina. 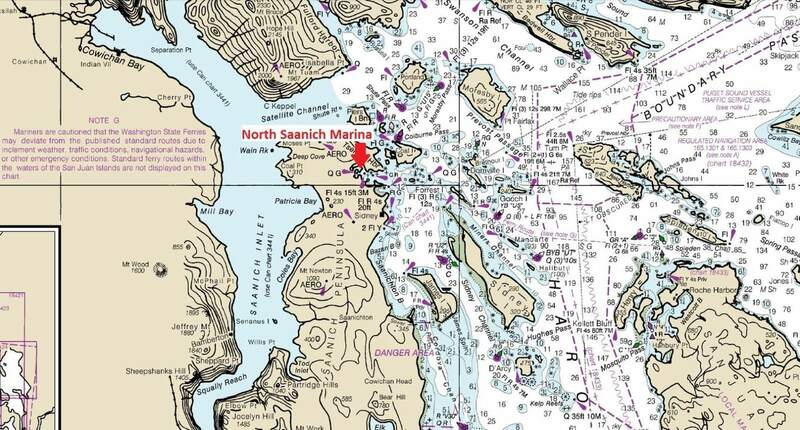 Directions: North Saanich Marina is located in Tsehum Harbour, just north of Sidney. Just follow the channel markers once you enter the harbour.